This year, as with every year, the fashion world got “inspired” by many cultures. From gelling down baby hairs to the now seemingly obligatory donning of Native American headdresses, fashion folk enjoyed experimenting with markers and traditions from other cultures. Despite all of this inspiration, there wasn’t much actual diversity, especially when it came to the models on magazine covers. Surprisingly, there were several publications that failed to use any models of color all year, including Harper’s Bazaar U.S. and U.K., Vogue U.K., Vogue Netherlands, Vogue Paris, Vogue Ukraine, Vogue Russia, Teen Vogue, Numéro, LOVE and Porter. Vogue Japan was one of the biggest disappointments. 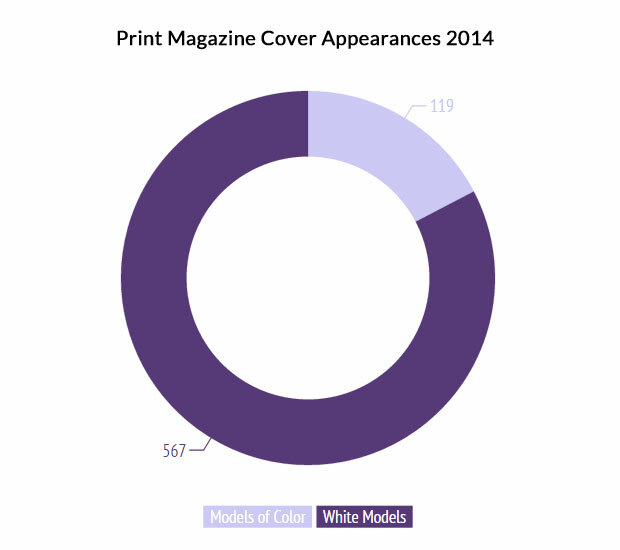 Out of 14 total covers, women of color were featured only three times, and only one of them was of Japanese descent. Vogue Korea had similar results, choosing models of color only four times compared to white models 13 times. The biggest offender, however, goes to Vogue U.K., which hasn’t featured a model of color on a solo cover in 12 years (Naomi Campbell got that honor; the mag did feature celebs of color in various years including 2013**). One of Britain’s most prominent and in-demand models, Jourdan Dunn, wasn’t afforded a cover, despite her impressive body of work and overall popularity. Yet Cara Delevingne and Kate Moss were given two covers each. On the flip side, Vogue India exclusively used women of color this year, while Vogue Taiwan chose models of color 13 times. Vogue Italia featured models of color 10 times (out of 64 models used for covers this year), a rather high number for a European publication, though many were featured in its September issue, which had an enormous cast. That issue is also the reason why Vogue Italia had such a high number of white models. If these results prove anything, it’s that fashion continues to have a global diversity problem. If a Japanese publication dictating what is beautiful to Japanese women doesn’t feature more than one Japanese model, that’s an issue. If a high-profile black model isn’t afforded a major solo cover in her own country, there’s a problem. Fashion should represent beauty in all forms and it’s about time our magazines reflect that. With additional reporting by Elena Drogaytseva. 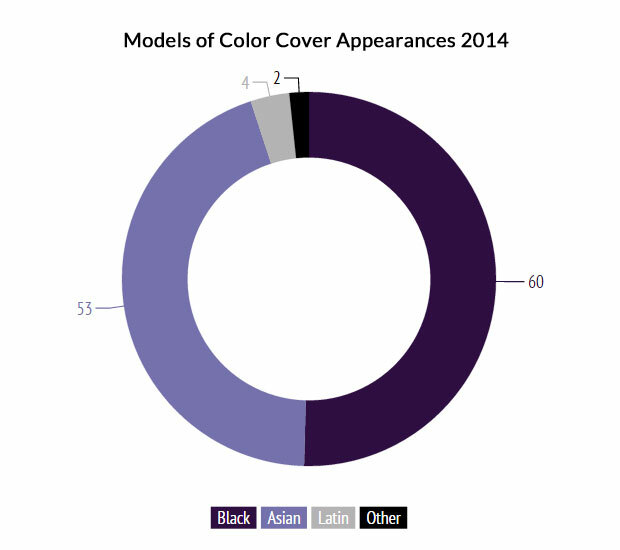 *Models of color were categorized as those who appear to be nonwhite or of mixed backgrounds. 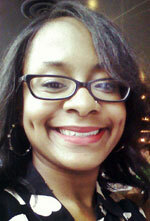 Models included in the Latin category are classified as nonwhite Latins that do not appear to be strongly Afro-Latin. **UPDATE: This story erroneously stated that no models of color had been featured on British Vogue covers in 12 years other than Naomi Campbell. Beyoncé, Rihanna and Salma Hayek have each appeared on a solo cover in 2013, 2011 and 2003, respectively. This does not impact the 2014 data in any way.